By now, it should be obvious that Donald Trump’s people are not marijuana people. For every member of Trump’s inner circle like tech billionaire Peter Thiel, the free press-destroying, pseudo anarcho-capitalist who also sort of likes weed (yay? ), there are several more like Attorney General Jeff Sessions, the “good people don’t smoke marijuana” guy who, on his first day at work, green-lit a new War on Drugs (and who, unlike Thiel, actually wields power). Two of Trump’s biggest and earliest fans, Maine Gov. Paul LePage and Idaho Gov. Butch Otter, are respectively using the power of office to obstruct voter-approved marijuana legalization and personally begging Trump to send in the feds to crack down on state-legal cannabis. And now marijuana has reason to fear the administrator of the Environmental Protection Agency. Sworn in last week, new EPA chief Scott Pruitt is likely to immediately begin unraveling Obama-era environmental protections—but as the Washington Examiner reported, he could also become a trusted Trump confidante on drug policy. And on that issue, Pruitt’s record is terrible. In between filing lawsuits against the EPA, as Oklahoma attorney general, Pruitt took the extraordinary step of rewriting the language of a proposed medical marijuana voter initiative. As an attorney for sponsor organization Oklahomans for Health alleged in the subsequent lawsuit, Pruitt’s rewrite was intentionally misleading and intended to convince voters to reject the measure. That gambit led to a legal fight, which in turn delayed the measure’s appearance on the ballot by two years—to November 2018. Considering Oklahoma voters approved in November reducing all marijuana possession crimes to misdemeanors, Pruitt is likely responsible for waylaying medical marijuana in his home state. Pruitt was also behind an attempt to undo marijuana legalization in Colorado via the courts. As attorney general, he represented Oklahoma in a lawsuit filed by that state and Nebraska against neighboring Colorado, alleging that the recreational cannabis industry there was causing crime and draining resources across the Midwest. 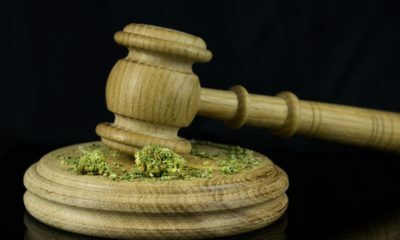 The Supreme Court refused to hear the suit last year, but Nebraska and Oklahoma haven’t given up and are now attempting to use racketeering laws to convince another federal judge to crack down on Colorado’s cannabis industry. So what does this have to do with the EPA—and what does the EPA have to do with marijuana? Nothing, of course—but this is the Trump administration; normal rules do not apply. As the Examiner noted, Pruitt has the distinction of having dealt directly with marijuana in the past, something Sessions—as attorney general and a senator in Deep South Alabama—cannot claim. Pruitt may become the White House’s go-to guy on dealing with weed, simply because he’s done it before. The fact that he’s failed to do anything aside from get in marijuana’s way and slow things down a bit won’t matter. He may be able to influence policy. And if Scott Pruitt and Jeff Sessions are where Trump gets his ideas on weed, we may be one tweet away from serious trouble.